CBD Private Label & Moonlighting Products - 90% OFF - 500% to 1000% Profits for You! Turmeric Root Essential Oil - 4 oz. Only $5/month to become a Monthly Member - CANCEL ANYTIME - or become a Lifetime Member and receive CBD Product Giveaways and CBD Private Label Program benefits. Call 863-224-9555 for details or CLICK HERE. SKU: EOIL-TURMERICROOT-CONE-4OZ UPC: 812841022123 Uses: Therapeutic Grade for use in aromatherapy, soap and cosmetic making. Not for internal use. Join the "Greener Life Club". Secure an additional 20% discount on all Essential Depot products and promote "Greener Life Products"
Essential Depot backs up its quality claims. 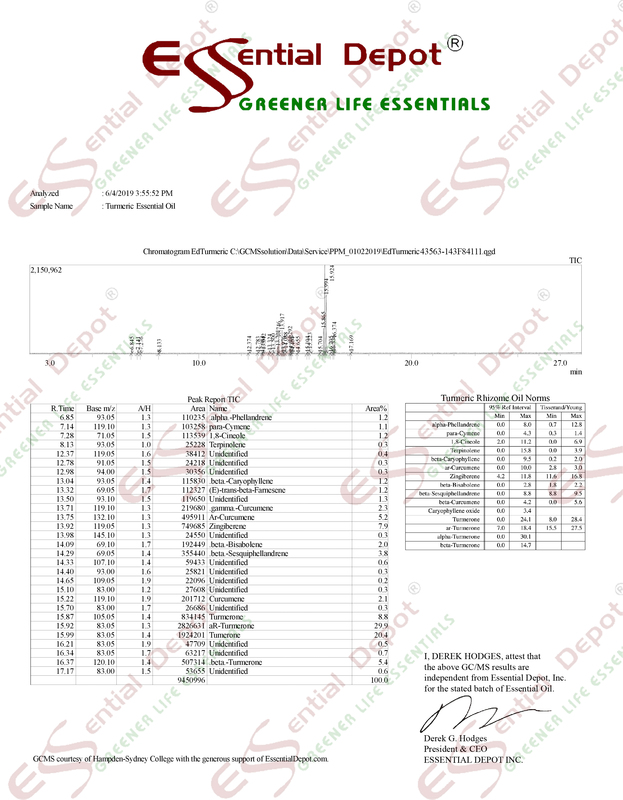 We believe we are the only company selling Essential Oils that does Gas Chromatograph (GC) and Mass Spectrometry (MS) testing on every batch received and publishes the full GC report with extensive research on each Essential Oil for Greener Life Club Members. CLICK HERE TO SEE Video Footage of Dr. Kevin Dunn, Professor of Chemistry at Hampden-Sydney College, discussing the GC testing of Essential Oils for authenticity. Watch the video below to see "Greener Life Club Members" at the Essential Depot Wine Soap Bar attending one of our retreats discovering the "Secrets of Soap Making". Tea Tree Essential Oil - 4 oz. - Limited time offer! Frankincense Essential Oil - 4 oz. Peppermint Essential Oil - 4 oz. Sign up to receive coupons and news. 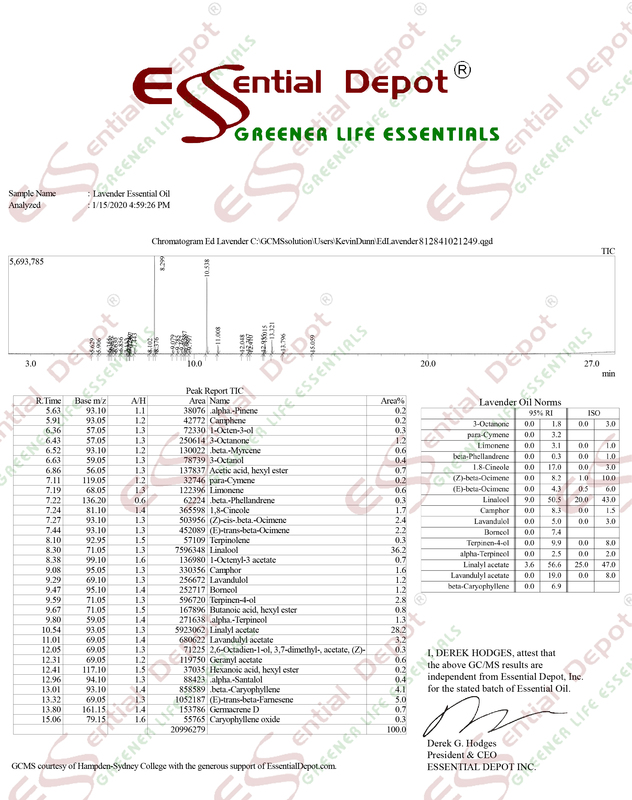 Copyright © 2009-2018 Essential Depot, Inc. "Greener Life Diamond", "Greener Life Certified" and "Greener Life Club" are Trademarks of Essential Depot Inc. All rights reserved. Greener Life Club Premium Members are permitted to use, for a nominal one time $1 fee, the "Greener Life Club Logo."